The Atlas Washers, Cleaners and Oilers are designed to service blanks from multiple press lines, allowing our customers to make the most of their investment. This option reduces the amount of equipment required within the facility and eliminates downtime of that equipment. Because our product designs are independent of the press lines, blanks can be processed continuously at maximum capacity. 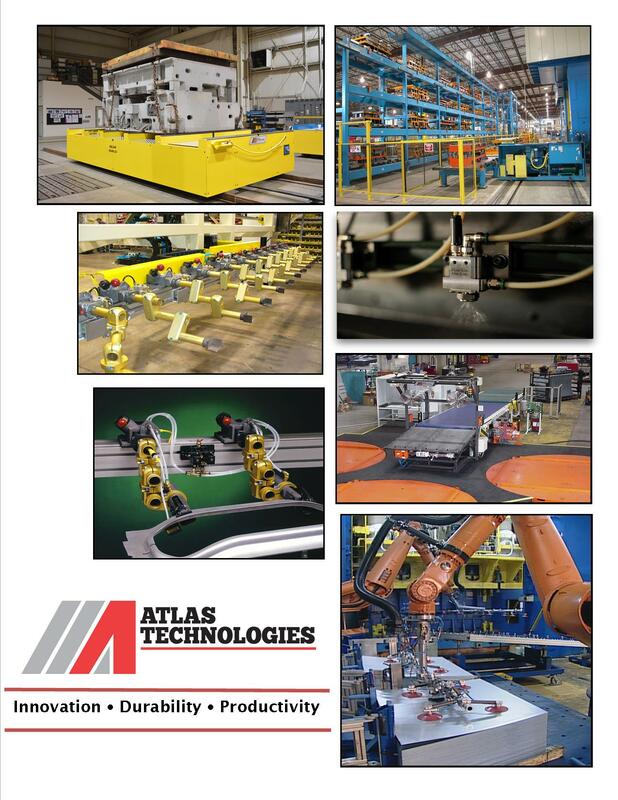 Robotic integration is an option and Atlas will work with the manufacturer of your choice, to integrate the controls for a complete solution. The Atlas Wash Cell cleans sheet metal for stamping or blanking operations. The washer is modularly constructed with three to four pair of rolls, 6 to 8 total. The center brush rolls provide the cleaning, while the exit rolls control the residual film thickness. The non-textile fiber rolls allow for optimum cleaning without marring the surface finishes. 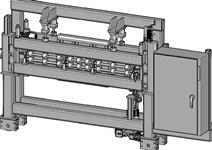 Atlas’ Wash Cell is equipped with a closed loop fluid system, quality mist collection system, fixed & floating bearing construction, proper wash solution heaters, triple seal bearings for maximum leak prevention, galvanized spray manifolds, and automatic lock outs to prevent roll damage. For a complete list of our features and benefits, please click on the product details tab. 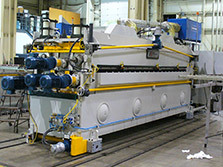 The Atlas GEN II FLEX Spray Oiler system, applies additional oil based lubricants to steel blanks to ensure proper draw of the part into the press. Atlas’ GEN II technology is a dramatic innovation to current spray oiler applications. Our unique spray nozzle design uses Pulse Width Modulation (PWM) that is extremely precise and repeatable. 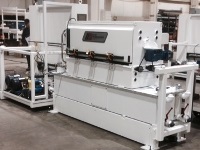 PWM technology puts the oil on the sheet, and not into the air like other applications. Our system offers the customer a “Greener” option that is cleaner, safer and more cost efficient than other oiler systems. The GEN II FLEX Oiler is equipped with PWM nozzle spray offering 90% fluid transfer rate, top and bottom fluid application, one heated tank, one cold tank for oil replenishment, PLC based controls, fluid filters and pumping unit, sampling ports, sheet metal enclosure with floor mounts and carrying conveyor with crown rollers for minimum blank contact. For a complete list of our environmental features and product benefits, please click on the product details tab. The Atlas Dry Brush Cleaner uses an innovative “dry wash” system. This proven cleaning technology is a “Greener” addition to our line of existing oil and water based blank washing systems. The lubricant free application offers lower cost effective maintenance protocols by eliminating hard to replace cleaning rolls or cartridges from the equipment as well as the messy fluid filters, and will provide easy pass through with double sided cleaning brushes.